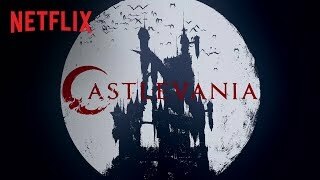 //In early 2016, we were brought on by Frederator to make the biggest series that our company has ever produced, Netflix’s Castlevania. This was a passion project for the studio and our first major series, so there was no shortage of love and care put into it. We worked very closely with Warren Ellis and Kevin Kolde to ensure our visual choices helped push the story thematics. Adi Shankar promised the audience lots of gore, and we were more than happy to oblige. The general styling of the show is heavily influenced by anime and Ayame Kojima, which made sense, given the roots of the project. All key fight scenes, like the Cyclops battle and the Alucard vs. Trevor sequence, were animated in-house to ensure the best possible quality. Our compositing team applied heavy polish to every shot via color grading and digital FX, maximizing the overall quality of the show. Watch Season 1 & 2 on Netflix today!